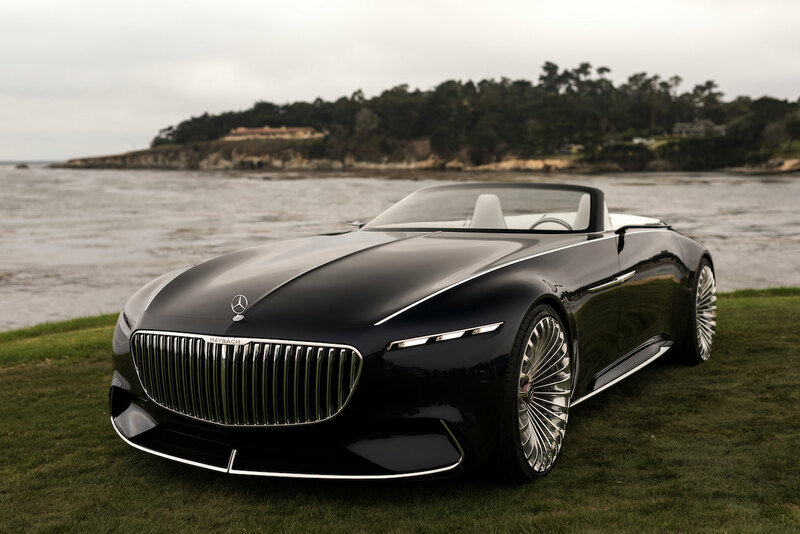 This is a great homage to haute couture and yachting as Vision Maybach 6 Carbriolet looks sharp, elegant and truly uncommon. 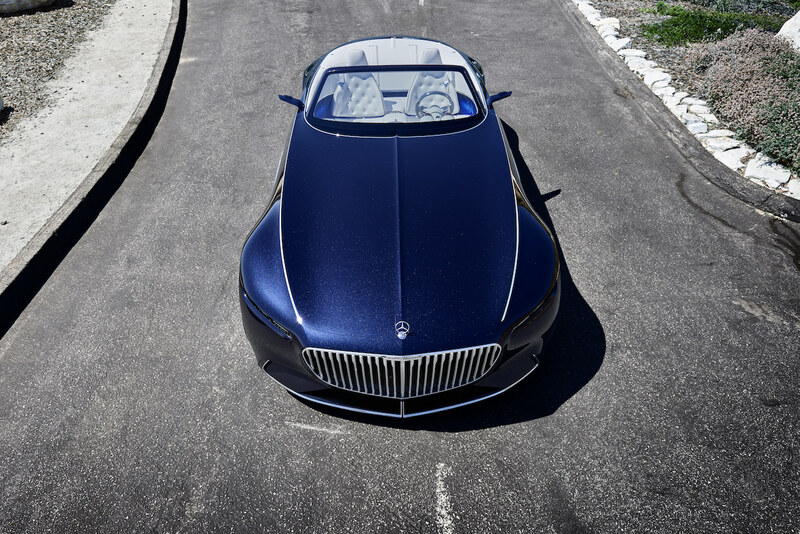 This exclusive convertible mixes past and future and brings back classicism to present times. 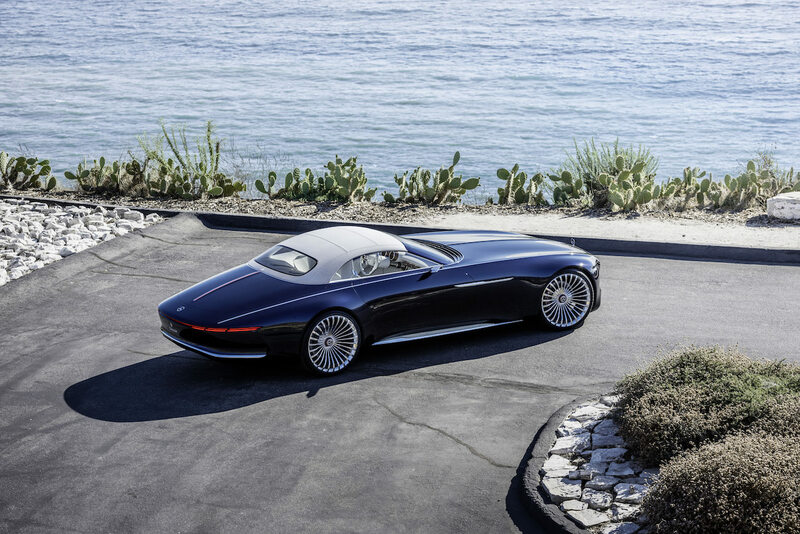 Vision Maybach 6 Carbriolet is an all-electric model and corresponds to the new tendencies in terms of visionary vehicles. The car is powered by four synchronous electric engines representing a total 550kW (750ph). If these numbers don’t completely look familiar to you, you just have to know that the supercar can reach 0 to 100km/h in less than 4 seconds and a top speed of 250km/h. When the watts are missing, the ultra-fast charge will allow you to win 100 supplementary kilometres in only 5 minutes. Concerning the past, this sleek profile astonishes us with a six metre long silhouette. The engine bonnet on Vision Maybach 6 Carbriolet brings doubtfully this impression of stretching and a total art-deco effect. Finally the new “nautical metallic bleu” paint brings new perspective with a new contrast between dark and chrome effects like with the front grille. Then the tapered back reminds us luxury yachts as well as white nappa leather that subtly adorned the cockpit. 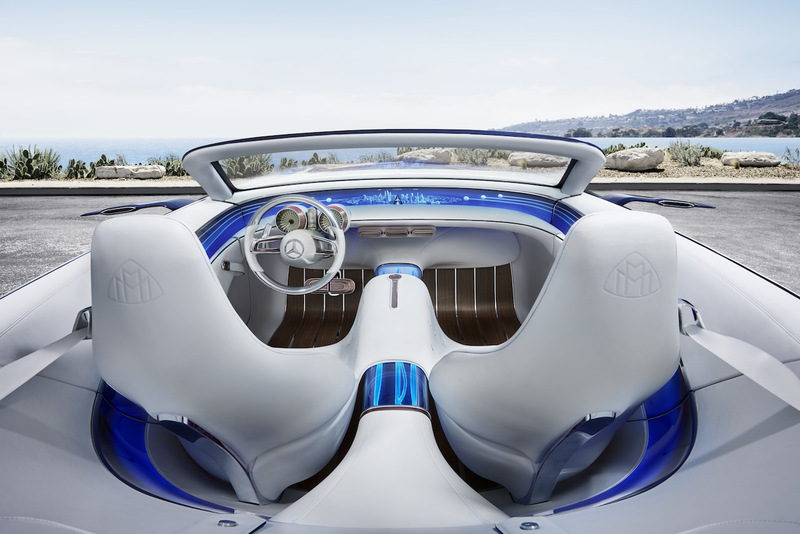 This is not a cockpit anymore; Vision Maybach 6 Carbriolet now has a true open-air lounge! Indeed, noble materials meet new technologies there and perpetuate this impression of luxury yacht. This concept is called “Inside Out” and communicates with the exterior when the roof is missing. Vermeil inserts create a perfect harmony with white upholstered crystal leather that brings an impressive sensation of comfort against our body. 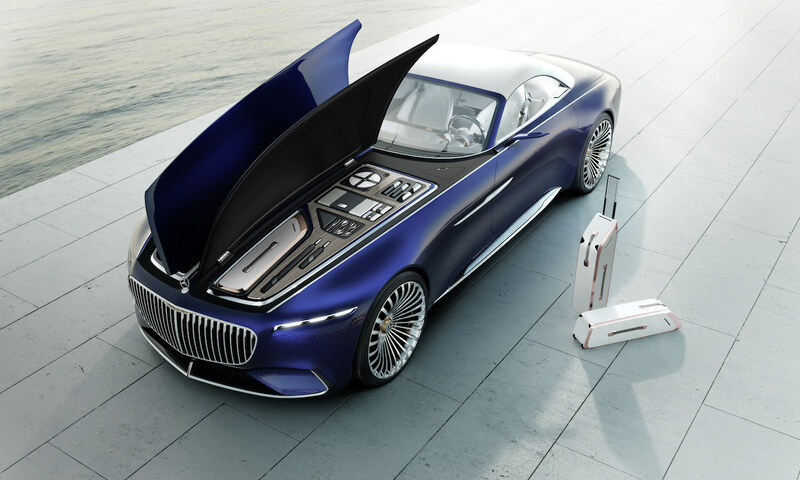 With diamond-shape fixed with buttons, Vision Maybach 6 Carbriolet reminds us classic luxury furniture from the past while a backlit Mercedes star comes to remind the future. Finally, the floor is made with wood and aluminium inlay once again identical to marine yachts! 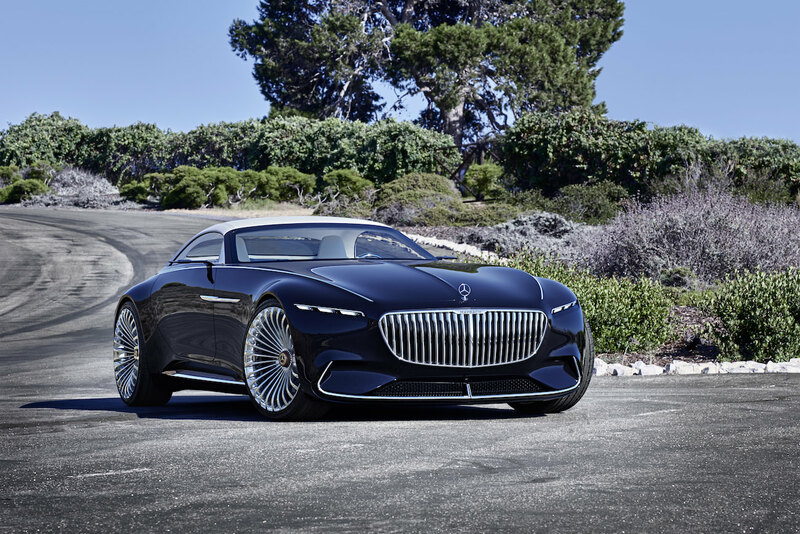 Concerning new technologies Vision Maybach 6 Carbriolet is full of them! The displays are part of glass decorative insert and use digital readout as well as true needles. This “All Analogic” display corresponds perfectly to our numeric era and with heads-up displays you can now contemplate geographical information directly on the windshield like surrounding restaurants and tourist attractions. Finally, Vision Maybach 6 Carbriolet is now equipped with a Touch-Only command that gives you a rapid access to your agenda, navigation and personal concierge that will assist you during all your rides. But you probably have never seen a car that takes care of you, right? This will be the case now because the car has biometric captors that check on your health and state of mind. 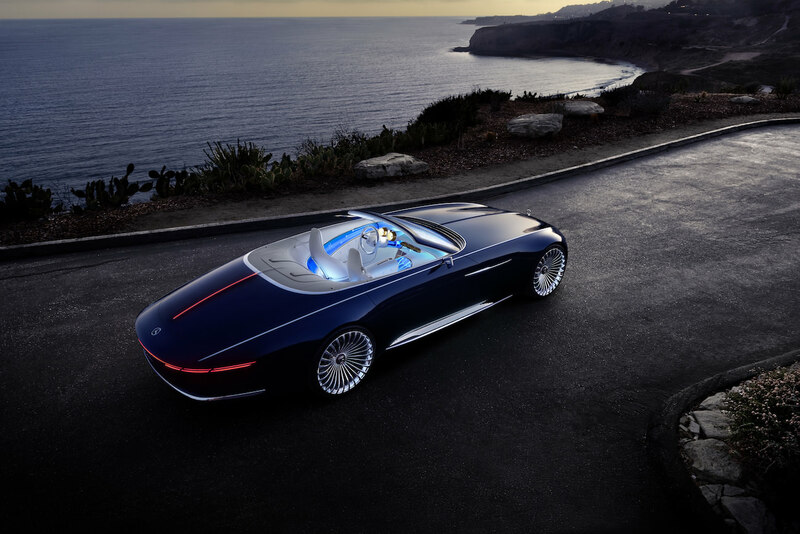 In other words Vision Maybach 6 Carbriolet will truly become your new best friend! 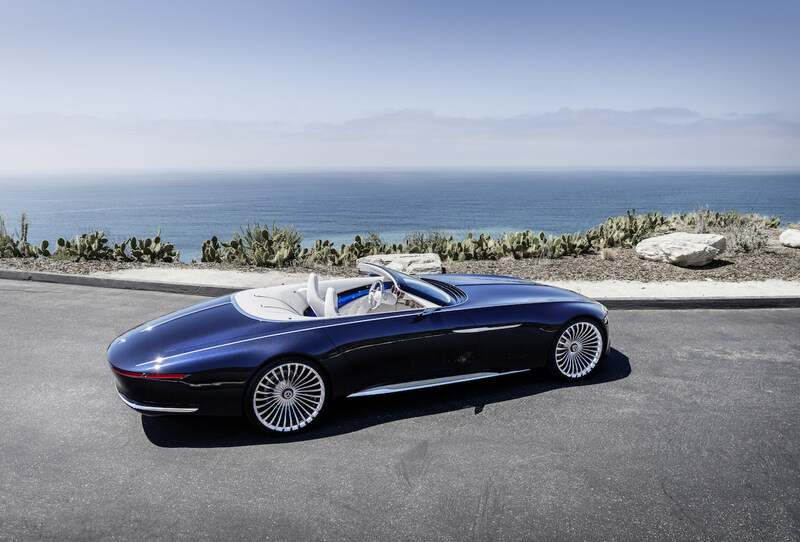 Share the post "New Vision Mercedes-Maybach 6 Cabriolet: when classic becomes a futuristic model"